We were founded on the belief that safe, reliable, high-quality cannabis should be accessible to those in need. This week we are announcing new pricing on all Good Chemistry medical flower. 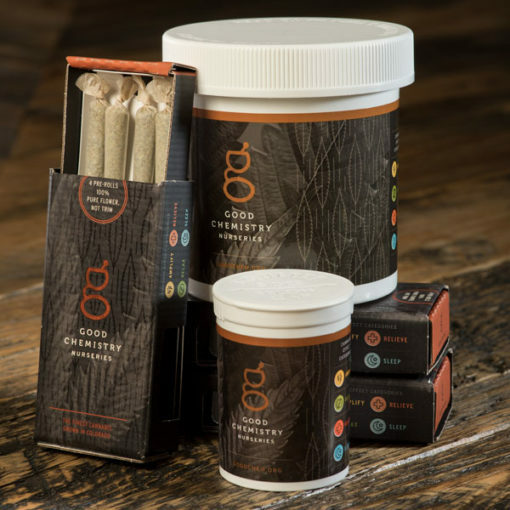 The therapeutic benefits of cannabis became evident to Good Chemistry Nurseries Founder/CEO Matthew Huron in 1996 when his father and his father’s partner were diagnosed with HIV/AIDS. In 1996, when medical cannabis became available in California, he saw firsthand the symptomatic relief patients experienced from this alternative medical treatment. In 2000, he began growing medical cannabis for AIDS patients throughout the state, founding and operating a nonprofit medical cannabis co-op. After 10 years operating the Elmar Lins Compassion Co-Op, Matthew moved to Colorado to co-found Wellspring Collective. In 2010, he launched Good Chemistry Nurseries. Everything we do at Good Chemistry is guided by four core principles – Science, Access, Dignity and Compassion. Our menu includes 20+ strains every day, without tiers or tiered pricing. Come in to any of our two medical locations, and check out our online ordering to save time.